Is Cefazolin Just As Good As Oxacillin Or Nafcillin For MSSA Bacteremia? Debate exists whether nafcillin or oxacillin should be preferred over cefazolin for the treatment of bloodstream infection caused by methicillin-susceptible Staphylococcus aureus (MSSA). Here, the author of a recent comparative review provides insights on treating MSSA bacteremia. Interview With: Julius Li, Pharm.D. Li J, Eehevarria KL, Traugott KA. Beta-lactam therapy for methicillin-susceptible Staphylococcus aureus bacteremia: a comparative review of cefazolin versus anti staphylococcal penicillins. Pharmacotherapy. 2017; 37(3): 346-360. Most recent studies on Staphylococcus aureus have focused on the methicillin-resistant S. aureus (MRSA), but infections due to methicillin-susceptible S. aureus (MSSA) continue to represent a significant burden to the healthcare system. Beta-lactam therapy has been shown to be superior to vancomycin for treatment of MSSA bacteremia, and antistaphylococcal penicillins (ASPs), such as nafcillin and oxacillin, and cefazolin are generally considered the best beta-lactam options, particularly in severe infections . Historically, cefazolin has played second fiddle to ASPs primarily due to concerns about inoculum effect. Inoculum effect is a phenomenon in which an antibiotic is susceptible at standard inoculums, but becomes resistant at higher inoculums. Routine antimicrobial susceptibility testing uses a standard inoculum, but high inoculums may better reflect the bacterial burden in deep-seated infections, such as endocarditis or an undrained abscess. S. aureus produces four variations of beta-lactamase (Type A, B, C and D), and inoculum effect appears to occur more commonly with type A beta-lactamase, because of more efficient breakdown of cefazolin. Some early case reports tied the failure of cefazolin therapy for infections (e.g., infective endocarditis) to the cefazolin inoculum effect. However, the inoculum effect may be primarily an artifact of susceptibility testing, and its clinical relevance is still unclear . Another important consideration when comparing ASPs to cefazolin, is that cefazolin has a broader spectrum of coverage and may increase risk of resistance because of unnecessary gram-negative exposure. Although cefazolin is recommended as an alternative to the ASPs, there has been increasing interest in using cefazolin as a first-line option for MSSA infections outside the central nervous system (CNS); cefazolin should not be used for CNS infections due to poor cerebrospinal fluid concentrations. Cefazolin offers several pharmacologic advantages over ASPs, such as more convenient dosing schemes, a better tolerability profile, and lower sodium content and diluent volumes. Additionally, antimicrobial stewardship programs are increasingly using cefazolin as the preferred agent for MSSA infections as part of cost-saving initiatives. Recently published studies have suggested similar clinical efficacy between cefazolin and ASPs, and we published a recent review  covering many of the issues surrounding this controversy, paying specific attention to clinical efficacy and safety. What motivated you to perform a comparative review of cefazolin versus anti-staphylococcal penicillin for MSSA bacteremia? Since the publication of my PGY-2 residency project looking at cefazolin versus oxacillin for complicated MSSA bacteremia , there have been numerous similar clinical studies published, which was the big missing piece from the conversation. With this recent increase in clinical data on the subject, we thought it would be a good idea to put together a comprehensive review summarizing all aspects of the issue with a specific focus clinical efficacy and safety. 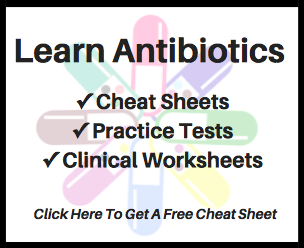 We thought this would be timely since it seems that many antimicrobial stewardship programs have either implemented or considered a change to cefazolin from ASPs for various types MSSA infections, including bacteremia. What are the major factors you use to differentiate options of cefazolin versus oxacillin or nafcillin for MSSA bacteremia? Honestly, our current practice has evolved to use cefazolin for almost all non-CNS MSSA infections unless the patient has an intolerance to cefazolin or other cephalosporins (my physicians have jokingly accused me of being the drug rep for cefazolin, since you know, the commission pays very well [sarcasm]). We started out using cefazolin preferentially over oxacillin for hemodialysis patients due to dosing convenience and to avoid placing a peripherally inserted central catheter (i.e., PICC line) or for patients with some degree of liver dysfunction. Since we anecdotally saw good outcomes in these patients and higher ADR/discontinuation rates with oxacillin, this substitution progressed to patients with MSSA bacteremia secondary to easier to treat sources like cellulitis and eventually to our current practice. Although the published clinical studies are all retrospective with major limitations, the recurring theme seems to be that source control and severity/source of infection appear to be major determinants of efficacy. Antibiotic selection is only one piece of the puzzle, albeit an important one, but one of the biggest factors impacting outcomes on any patient with S. aureus bacteremia is adequate source control. Without good source control, it doesn’t seem to matter which antibiotic we use; we have seen patients persistently bacteremic on either cefazolin or oxacillin. Although we may switch patients on cefazolin to oxacillin after 5-7+ days of bacteremia, they often still don’t clear bacteremia without surgery. Under what circumstances are data not supportive of cefazolin as a first-line option for MSSA bacteremia? As alluded to earlier, the clearest scenarios where cefazolin should not be used are CNS infections and if the patient has an intolerance to cefazolin or other cephalosporins. Otherwise, the data are much murkier when it comes to other sources, particularly deep-seated sources like endocarditis. How do you feel about step-down therapy from oxacillin or nafcillin to cefazolin for MSSA bacteremia, after a few days of nafcillin or oxacillin therapy has been given and any large inoculum is reduced? Since our current practice is to use cefazolin up front, this particular practice of using cefazolin as step-down therapy has not come up, but I think this could be a reasonable strategy to get the best of both worlds – minimize both the inoculum effect concern with cefazolin and the longer-term tolerability issues with ASPs. However, it seems to me that inoculum effect may be more of just a laboratory phenomenon rather than a true clinical concern. Compared with standard inoculums of 105 CFU/mL, higher inoculums (e.g. 107 CFU/mL) may produce >100 times more beta-lactamase resulting in more hydrolysis and antibiotic inactivation. Because the drug concentration tested is the same at both inoculums, MIC values should be expected to increase when inoculum size increases. Therefore, the inoculum effect does not account for true drug-organism exposures seen in clinical settings. Some in vivo studies looking at ESBL-producers demonstrated similar bactericidal activity of cefepime regardless of inoculum size as long as the target pharmacokinetic / pharmacodynamic (PK/PD) parameter was achieved. An early animal study with cefazolin also demonstrated improved outcomes when MSSA isolates with inoculum effect were treated with higher doses of cefazolin. So, achieving optimal PK/PD may be more important than inoculum effect in these deep-seated MSSA infections. Based on these data, I think that we could compensate for a higher burden infection with more aggressive dosing (e.g. at least 6 g of cefazolin per day) and with optimized antibiotic administration (e.g. continuous infusions). We’ve pushed up to 8 g per day for obese patients (generally >120 kg), but there’s safety data all the way up to 12 g per day. Some other things to keep in mind about inoculum effect are that 1) inoculum effect does not occur with all high burden infections, 2) inoculum effect does not appear to be very common with reported rates ranging from 4-36%, and 3) inoculum effect is not routinely tested for in clinical microbiology laboratories. But to come back to the original question, the practice of using cefazolin as step-down therapy is not unreasonable to alleviate efficacy concerns of cefazolin upfront and tolerability concerns of ASPs down the road. What response would you give a clinician who desires both a glycopeptide plus a beta-lactam for treating MSSA bacteremia? I’m not sure I would advocate combination glycopeptide with a beta-lactam as definitive therapy for MSSA bacteremia, but there is some data supporting empiric use of both agents while awaiting susceptibility results, which is nicely detailed in this review . However, additional studies published since have shown conflicting results . Given the potential benefits and minimal risk of short-term beta-lactam therapy, it may be reasonable to continue both vancomycin and a beta-lactam while awaiting susceptibilities for Staphylococcus aureus bacteremia. In many situations, patients will likely be empirically started on both vancomycin and a broad-spectrum beta-lactam (e.g. ceftriaxone, piperacillin-tazobactam, cefepime). If blood cultures return with gram-positive cocci in clusters on Gram stain with high suspicion of S. aureus, consider continuing or stopping beta-lactam therapy based on severity of disease and suspected source of infection. In less severely ill patients with easier to treat sources (e.g., cellulitis), discontinue the beta-lactam. In more severely ill patients with harder to treat sources (e.g., endocarditis), consider narrowing (if not discontinuing) the beta-lactam to either cefazolin or an ASP and continuing vancomycin pending susceptibilities. Is there a major question future research yet to address in regards to identifying the best treatment option for MSSA bacteremia? A randomized controlled trial on this issue is highly unlikely, so we may be stuck with more of these small, retrospective studies and their inherent limitations. A meta-analysis of currently published studies may provide some additional insight, but the heterogeneity of these studies will probably make definitive conclusions difficult. Additionally, none of these studies address the historical concerns of inoculum effect, however clinically relevant the phenomenon may be. I think the most instructive study to help put this issue to rest would have some component of inoculum effect as part of the study design. The South Korean group published a study  looking at outcomes in patients receiving cefazolin therapy for MSSA bacteremia with isolates that were either inoculum effect positive or inoculum effect negative. However, there may be some inherent differences between isolates with inoculum effect versus those without inoculum effect. Therefore, a study to give us a more definitive answer would compare cefazolin versus oxacillin or nafcillin among bacteremic patients with MSSA isolates that demonstrate cefazolin inoculum effect. I would like to express my utmost gratitude to Dr. Li for taking time out of his busy schedule to complete this interview and provide a valuable perspective. 1. Paul M, et al. Are all beta-lactams similarly effective in the treatment of methicillin-sensitive Staphylococcus aureus bacteraemia? Clinical Microbiology and Infection. 2011; 17(10): 1581-6. 2. Craig WA, et al. The inoculum effect: fact or artifact? Diagnostic Microbiology and Infectious Diseases. 2004; 50(4): 229-30. 3. Li J, et al. Beta-lactam therapy for methicillin-susceptible Staphylococcus aureus bacteremia: a comparative review of cefazolin versus anti staphylococcal penicillins. Pharmacotherapy. 2017; 37(3): 346-360. 4. Li J, et al. Comparison of cefazolin versus oxacillin for treatment of complicated bacteremia caused by methicillin-susceptible Staphylococcus aureus. Antimicrobial Agents and Chemotherapy. 2014; 58(9): 5117-24. 5. McConeghy KW, et al. The empirical combination of vancomycin and a β-lactam for Staphylococcal bacteremia. Clinical Infectious Diseases. 2013; 57(12): 1760-5. 6. McDanel JS, et al. Comparative effectiveness of beta-lactams versus vancomycin for treatment of methicillin-susceptible Staphylococcus aureus bloodstream infections among 122 hospitals. Clinical Infectious Diseases. 2015; 61(3): 361-7. 7. Lee S, et al. Clinical implications of cefazolin inoculum effect and β-lactamase type on methicillin-susceptible Staphylococcus aureus bacteremia. Microbial Drug Resistance. 2014; 20(6): 568-74. Julius Li, Pharm.D. received his Doctor of Pharmacy Degree from Rutgers University (New Brunswick, NJ). He then completed post-graduate year-1 pharmacy practice residency training at Thomas Jefferson University (Philadelphia, PA), followed by a post-graduate year-2 infectious diseases pharmacy residency at South Texas Veterans Healthcare System (San Antonio, TX). Dr. Li is currently a Clinical Pharmacy Specialist in Infectious Diseases at Ochsner Medical Center (New Orleans, LA), where he has practiced since 2013.